Find hotel near Indochine Vietnamese Rest ..
How about tasting authentic Vietnamese cuisine while travelling in the location of Box hill, Australia? You can go to the Indochine Vietnamese Restaurant to provide your taste buds mouth-watering food. 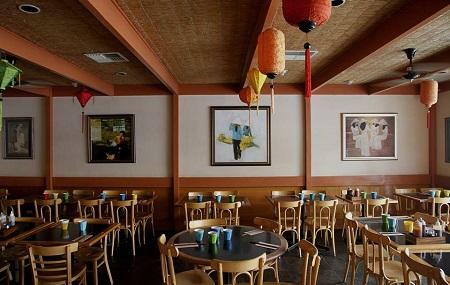 The restaurant offers all its unique food keeping its original culture and courtesy in mind. Hence, you will certainly get the essence of authenticity in this small slice of Vietnam. Hanoi, Indochine Gado Gado, Ginger Chicken, Lemon-Sweet Syrup Drizzled Over Crispy Chicken are some of the famous platters of this eatery. You will feel charged up sipping in the Hot & sour tom yum soup of this restaurant. The attentive and professional services of the staff of Indochine Vietnamese Restaurant always make the customers pleased. The food was delicious, and the servers were wonderful. A great price too! Best Vietnamese restaurant in Melbourne. The food is always amazing!